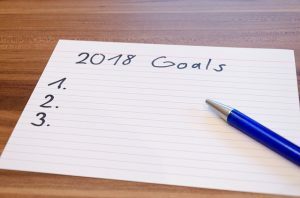 As most people make their lists of resolutions this year, they will include things such as losing weight, eating healthier, saving more and maybe even going on that trip you’ve always dreamed of taking. But not many will have resolutions to improve their teeth. So we’ve compiled a few suggestions to help you start off, and hopefully maintain, healthy teeth throughout 2018. Acidic foods can be highly damaging to your mouth. Soft drinks as well as sports drinks are among the worst. If you are guilty of consuming these beverages on a daily basis, try to reduce the amount you’re drinking. Cut down to no more than one per day, if you typically drink more. If you just drink one a day, try cutting down to one every other day. And always remember to follow up with a drink of water to help rinse the acid from your teeth. This is something many folks will resolve to achieve, but it impacts not only your overall health, but your oral health as well. Smoking is one of the most dangerous habits for your teeth and for your health. It increases your risk of gum disease and tooth loss. It can even make it more difficult to get your teeth replaced or get dental implants. This is one of the hardest resolutions to keep, but it’s also one of the most beneficial to your life. Another simple way to improve your oral hygiene in the new year is to make sure that you are cleaning your teeth properly. The first place to start is to make sure you’re brushing for the recommended two minutes. Unfortunately, studies have shown that most of us brush for less than one minute. To make sure you’re brushing long enough, use a timer or an electric toothbrush with a built-in timer. Maybe try timing your favorite song and hum along or use the stopwatch on your phone. This is an easy one but it’s also very easy to simply forget. You know you’re supposed to floss every day, but there is always some good excuse, such as being tired. but if you make the effort in the coming year, you could reduce your risk of gum disease and tooth loss not to mention you’ll get fresher breath to top it off. If you don’t like the way stained teeth make you look, ask us about our teeth whitening solutions. But a few simple things you can do to help reduce staining include watching your intake of chocolate, coffee, tea, soft drinks, red wine, dark beer, and berries. Or if you must indulge, try using a straw! Another good resolution for the coming year is to see your dentist at least twice. If you haven’t been making your regular appointments, resolve to schedule them now! Call 301-739-1100 or click here. A listing of dental procedure codes and their descriptive terms published by the American Dental Association (ADA) used for recording dental services on the patient record as well as for reporting dental services and procedures to dental benefit plans. The Code is printed in a manual titled Current Dental Terminology (CDT).